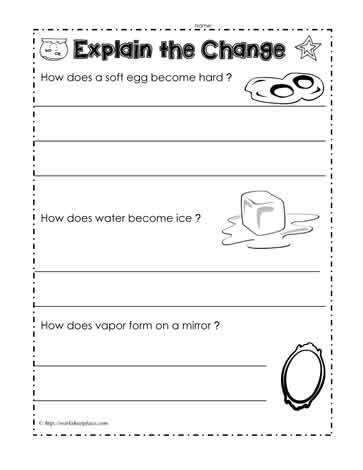 Change of matter worksheet. Why does the fluid in an egg turn to a solid? How does water turn to a solid? This changes of state worksheet is for young learners in grade one or two.